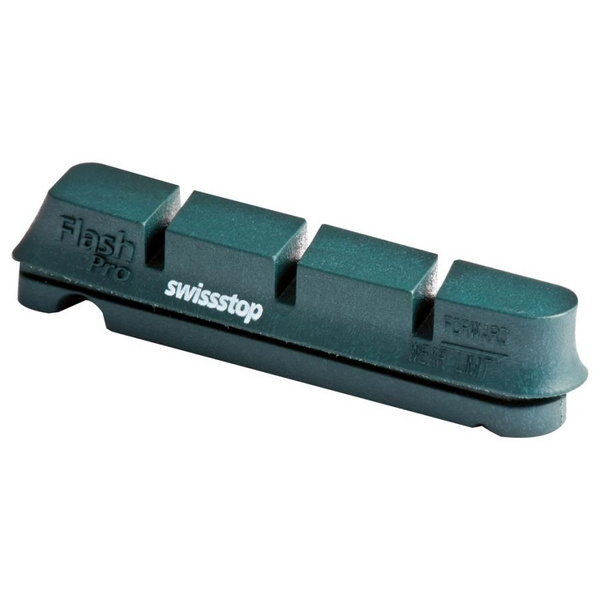 Flash Pro pads to fit Shimano Dura Ace/ Ultegra/105/Sram/TRP. Supplied as 2 pairs including pads only. 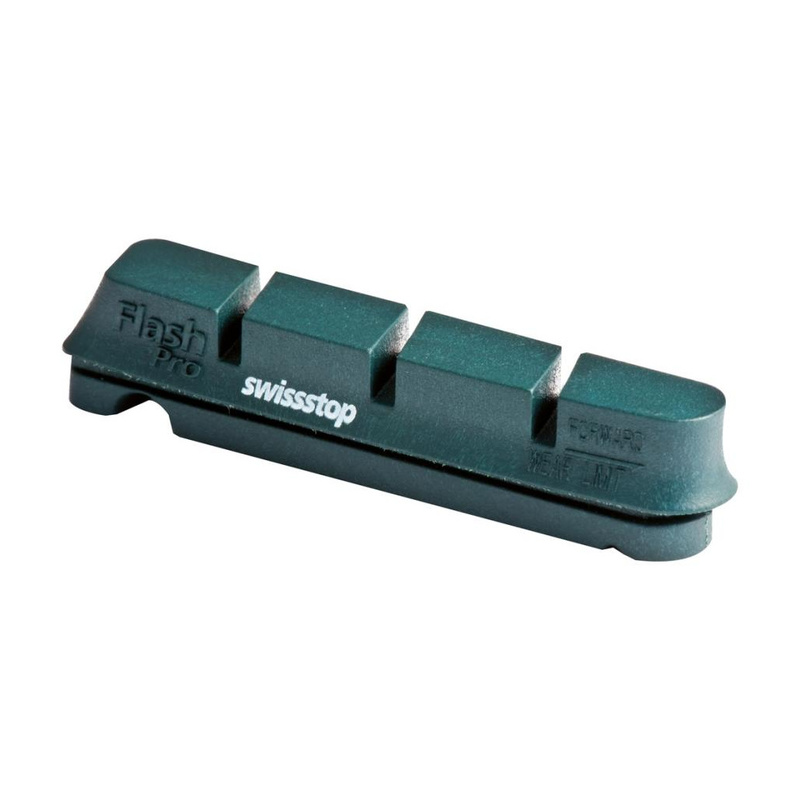 Swissstop offers the best braking performance in all conditions for all types of bike. Four different compounds are available for optimised braking control choose the compound that suits your application. Black Prince – Latest carbon rim compound, provides superior power, control and modulation. Braking distances are significantly reduced in all conditions. Compatible with carbon rims only. Yellow King – Awesome power (wet & dry) and precise modulation on carbon rims. No squeaking and very little wear to the rim. Also good for alloy rims. BXP – Latest aluminium rim compound. Non sticky predictible linear feel provides improved modulation, power and braking in all conditions. Original Black – Suitable for less aggressive riding, very good in dry & wet conditions. Specifically recommended for rims made of softer alloy. Please ensure the compound meets the compatibility and warranty requirements of your wheels.